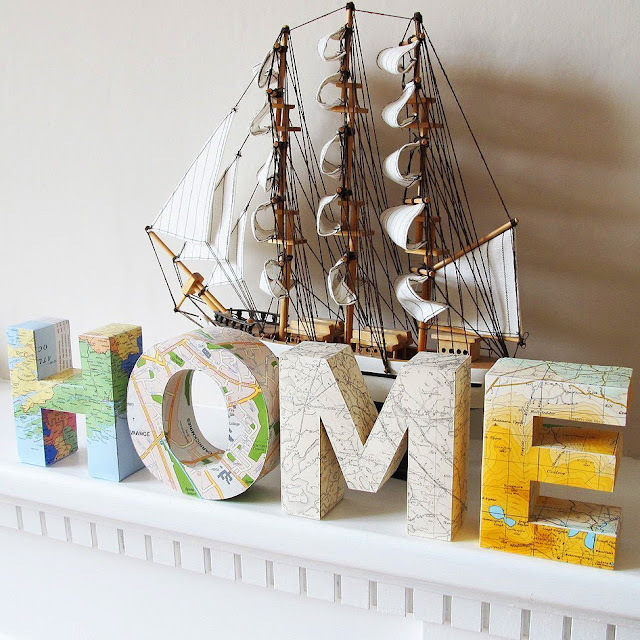 What happens when two of the biggest homewares trends (letter & maps) get hitched? Well, you get Ireland-based Little White Dog of course - "Custom made sculptures from repurposed & recycled paper". Susie? You're a clever chop. They're di-viiine! Nice find...and yes so clever. The creativity in others will never stop amazing me. A great sight & I love to support those on Etsy. I adore your blog!